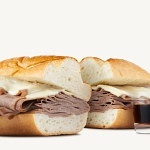 While the regular menu items at Arby’s are delicious and provide customers with a lot of great choices for lunch or dinner, those aren’t your only choices when you dine in or carry out at Arby’s. 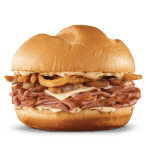 While, unlike some other restaurants and chains, Arby’s has not officially claimed their secret menu, there are definitely a few items that you can order at any Arby’s location but that you’ll never find on an Arby’s menu. 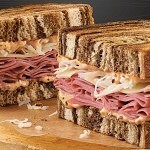 For example, did you know that you can order a double-stacked Reuben at most Arby’s locations? 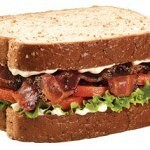 When you do this, you’ll get a full seven ounces of meat instead of the standard 3.5 ounces. And, of course, that’s not all. 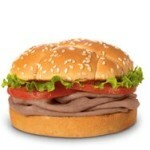 You can also add a whole list of free items to almost any Arby’s sandwich to make it even tastier and more filling. Without adding a single dime to your bill, you can add onion tanglers or any Arby’s sauce, and you switch out what kind of bread you order at no charge, too. 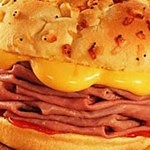 Want to make your Beef ‘n Cheddar sandwich even better? Make it a Bacon, Beef ‘n Cheddar. 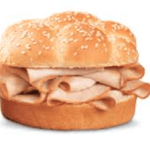 This simple secret menu hack is really popular, so it’s available at all Arby’s locations, but menu prices do vary. 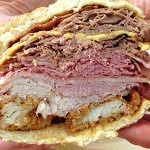 The Arby’s secret menu also includes the Ultimate BLT sandwich, the Arby’s Melt, a French Dip Max, a Jr. Deluxe, and there’s even a Meat Mountain. 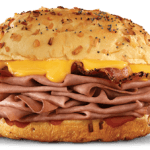 For just $10.00, at some Arby’s locations, you can order every meat that they offer on a sandwich, all topped off with melted cheese on your choice of bread. So, how do you order the Arby’s secret menu? Because some locations don’t offer all of the menu items, you’ll want to ask politely if they can make you the secret menu item you want. 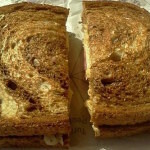 Most locations will be able to help you, especially if you ask nicely, but you do need to know what you want before you order because you’ll never find these secret fast food items on an Arby’s menu. 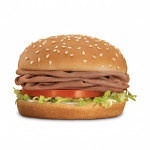 Also, some Arby’s menu prices will be slightly different than others. Some locations will charge extra for certain items on the secret menu, but others won’t charge anything extra at all. So, if you’re feeling adventurous, go ahead and ask the cashier to make you a meat mountain, a roast ham and Swiss sandwich, or a Jr. Deluxe. What do you want to order on the secret menu at Arby’s? Let us know, and be sure to check out your options and Arby’s secret menu prices below.